Barbara Peacock wins the prize for her 'American Bedroom' project. Barbara Peacock, a photographer from Portland, is one of five winners of a $10,000 Getty Images Editorial Grant. She won the prize earlier this month at the Visa pour l’Image Festival in Perpignan, France. 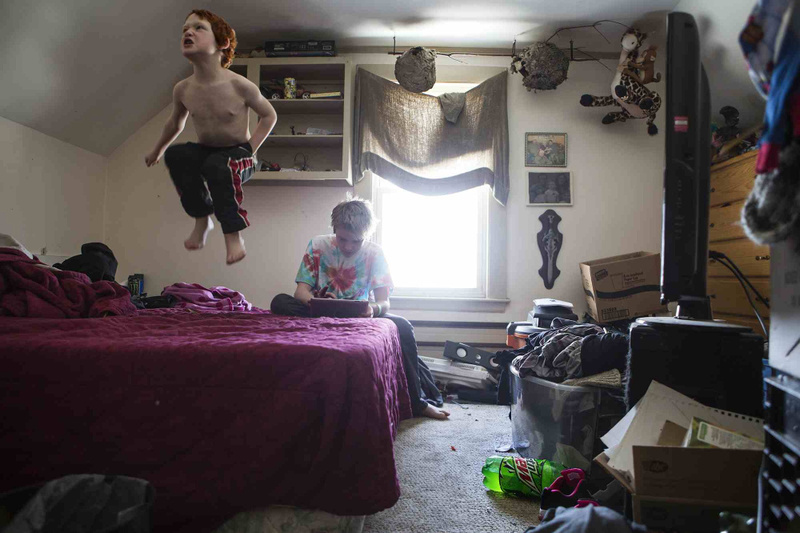 Among hundreds of entries, Peacock’s “American Bedroom” project caught the attention of the prize judges, editors and photographers from the New York Times, Washington Post and other media outlets. “American Bedroom” is, Peacock said, “a succinct and frank portrayal of the hidden and transparent complexities of who we are as individuals, and a nation revealed in detailed portraits taken in the bedrooms of Americans across the country.” Peacock’s entry included portraits created across Maine in Portland, Westbrook, Sweden and Jay. she started in 1982 and pursued for 35 years. She recently moved to Maine.